MathiasCavanaugh.com – A fantasy & science fiction writer's blog » Blog Archive » What makes these honey buns patriotic? What makes these honey buns patriotic? 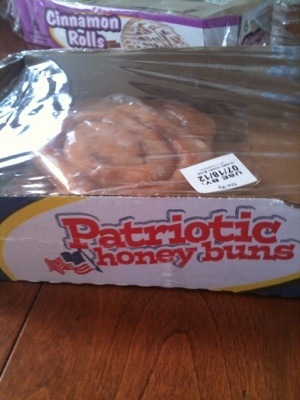 I really want to know what makes these honey buns “patriotic”. I mean, take a look and see if you can tell me what I am missing. They look like standard, run of the mill honey buns to me. At least frost them red, white, and blue icing or something!